On Wednesday, South Africa beat India in the second match of the Freedom Series. 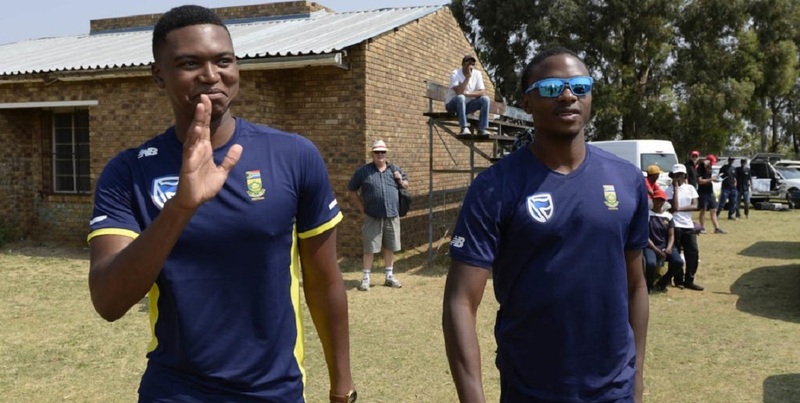 But really it was the 21-year-old debutant Lungisani Ngidi who was the star of the show. He took six wickets on debut, including Virat Kohli, which is a fantastic achievement for the player. Best of all, the entire scorecard was made up entirely of black players. World Number 1 Kagiso Rabada took three wickets while Ab De Villiers got a run out. The Daily Vox team rounds up. The Proteas took an unassailable 2-0 lead in the three match series, winning the match by 135 runs. People could not get over Ngidiâ€™s record of scoring six wickets on debut! But really the best part of the match was how the black players shone during the match, actually they have shone throughout this series. 9 wickets shared between by our two ” quota ” players. (3) Rabada (6) Ngini. It was Vernon PhilanderÂ in the first game who brought the game home for the Proteas. So, best of all, this game was a big slap in the face of all of those old white boys of cricket who love bringing up transformation quotas whenever the Proteas lose. Many Indian fans were bitter about the game but came armed with puns to deal with the loss, making puns about Lungi with the Indian garment, lungi. And to make a note, Ngidi and Rabada did not need transformation quotas to make the team. Those players are pure talent and we canâ€™t wait to see what happens during the Wanderers test. Actually, they have the whole country cheering them on; but, you keep on looking for racists under the bed if that’s what spins your wheels.